Microsoft Lync for Mac is a powerful communications client that works together with Microsoft Lync Server or Microsoft Lync Online. They provide an array of tools for both communication and collaborating with one or more users at a time. Communication tools: With Microsoft Lync for Mac users can do Instant Message (IM), Voice chat or video chat and can switch back and forth between the modes with one or more users at a time. Users can see if other users are available, away, or busy within their contact list as well as within other Microsoft Office for Mac applications like Outlook. Online meeting tools: You can also schedule, join, and invite people or friends to online meetings through Microsoft Lync for Mac. 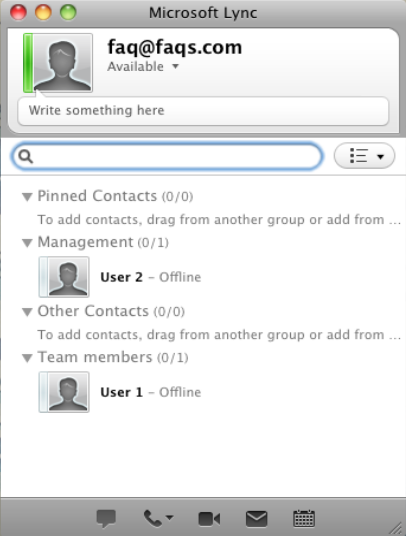 Users can also join meetings directly from within an IM conversation. The Meet Now command allows users to start impromptu online meetings. Desktop-sharing tools: The highlighting features is the Desktop-sharing where users can share their desktops with one or more users at any time during a conversation. 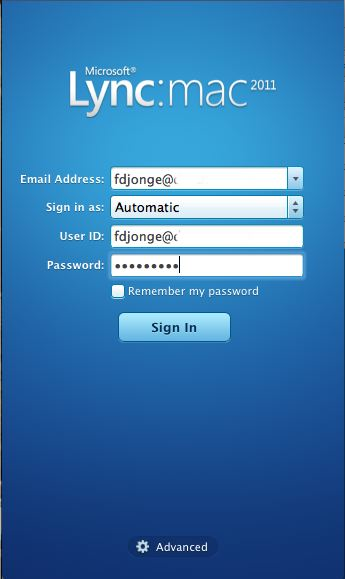 Users can also share files or grant control of their desktop to another user while sharing their desktop. Connectivity with other clients: Users of Microsoft Lync for Mac can have IM conversations with contacts Microsoft Sync or public IM clients such as AOL Instant Messenger, Yahoo! Messenger, and Windows Live Messenger. 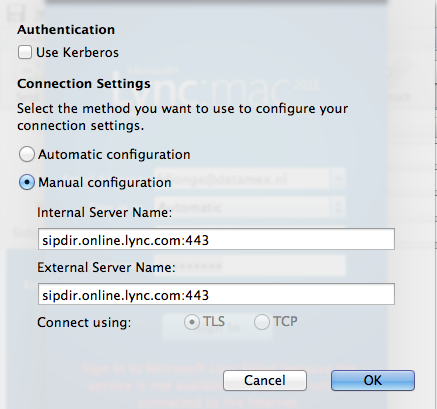 How to install / connect with Microsoft Lync for Mac. Check out the following link to perform the installation http://onlinehelp.microsoft.com/en-us/office365-enterprises/hh180727.aspx ( select option 3 Lync for Mac 2011 ) to download the DMG file. In case you get the message “Sign in to Microsoft Lync failed because the service is not available or you may not be connected to the internet” during the login process do not worry. You can avoid this message to change the settings via Advanced. You have to change the connection settings. Click on OK when finished. Try to login again. 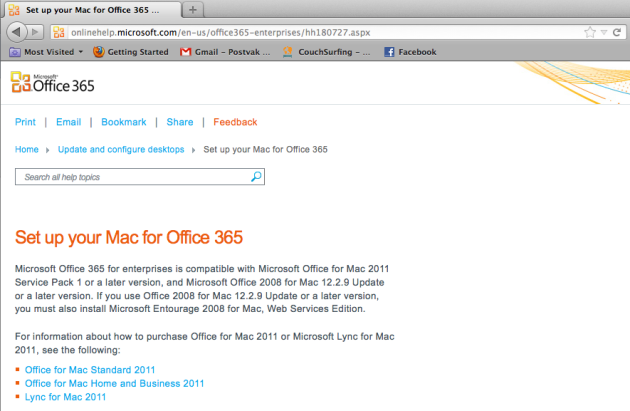 If you come across any issues with installation of Microsoft Lync for Mac please drop us a comment. freddy john has written 37 post in this blog. Hi, I'm freddy and I enjoy writing about Gadgets,Latest Technology,Smart Phones.